Design students create designs for a live/work space that combines innovation, functionality and social responsibility. Last year, PSD's Design Principal John R. DaSilva served as a judge for the Design Showdown, and this year PSD is co-sponsoring the event with John making opening remarks at the competition. Held on Friday, April 6th from 6:00-9:00pm, the eight student finalists present their work at the Boston Design Center. 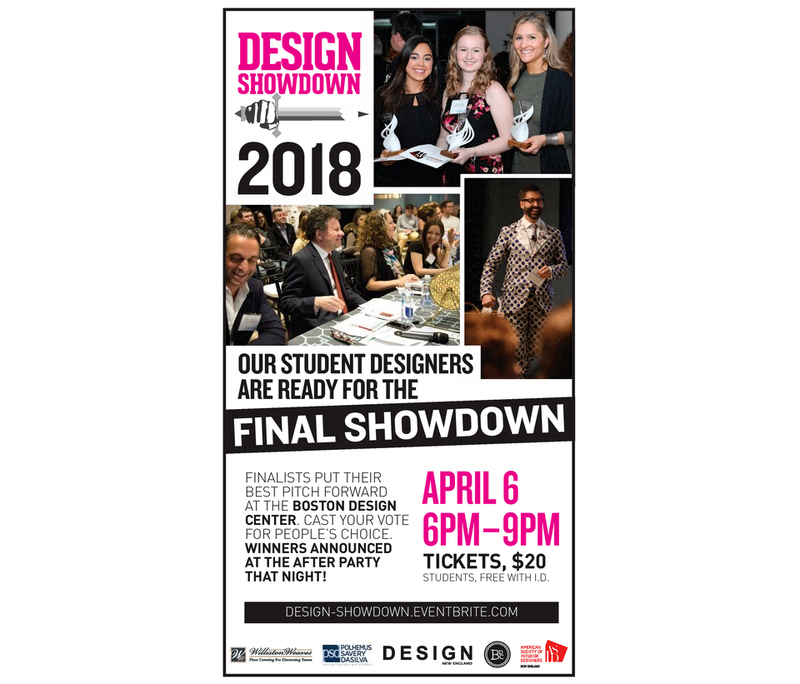 Design Showdown is a competition in which design students are challenged to imagine a live/work space that combines innovative design, functionality, and elements of social responsibility. It is free and open to students currently enrolled in an undergraduate or graduate program in interior design or interior architecture at an educational institution in New England. Each submission must be original work created by an individual student. A panel of design professionals judges the competition, which is conducted in two rounds. Design Showdown is a collaboration among Design New England magazine, the Boston Design Center and the American Society of Interior Designers’ New England chapter.